The East Bay takes a modern approach to classical music. 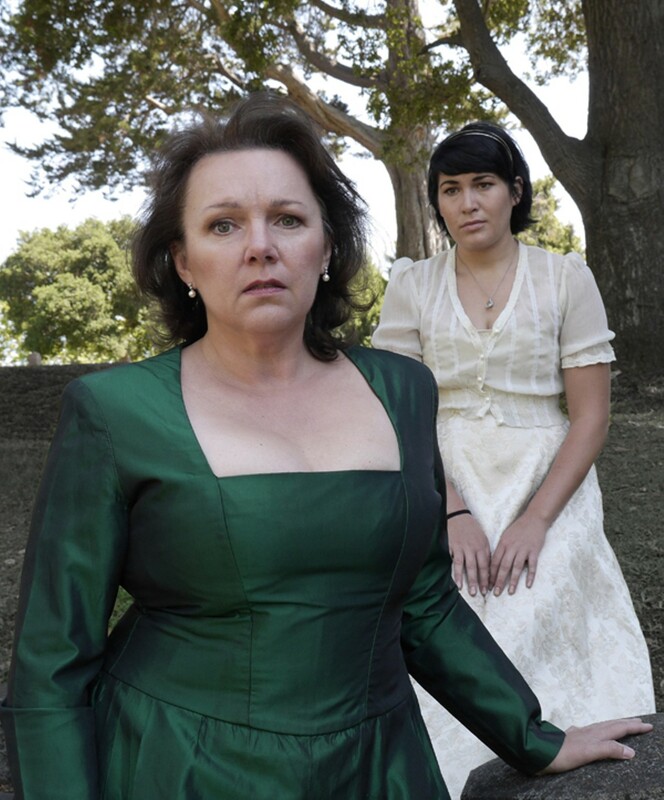 Marie Plette and Nikola Printz will perform in West Edge Opera's Vanessa. In the East Bay, classical music isn't the stuffy affair it is in other areas. While there will be opportunities to hear compositions by masters like Wagner and Verdi this season, new and obscure works will also dominate the fall programming. The modern approach also applies to venues: The Greek Theatre will host one of the world's best-loved opera singers, Awaken Cafe will be home to a chamber orchestra residency, and Freight & Salvage will offer a deep dive into the work of famous composers. For some events this season, the dress code will be jeans, the beverage of choice will be beer, and the price of admission will be slightly higher than a ticket to the movies. Opening nights of both the Berkeley Symphony and Oakland East Bay Symphony will feature up-and-coming local composers who weave digital elements into their orchestral compositions. Berkeley Symphony's season opens at Zellerbach Hall (UC Berkeley) with the world premiere of Edmund Campion's Ossicles (Oct. 3), which was co-commissioned by the symphony and Cal Performances. Campion, a music professor at UC Berkeley and co-director of the Center for New Media and Audio Technologies, writes music that combines traditional instruments such as piano with computer-based technology and hybrid instruments. It should be easy to recognize composer Mason Bates at the Oakland East Bay Symphony's Opening Night (Nov. 8) — he'll be the one with a laptop. Bates draws on his time DJing to create symphonies with the rhythm of techno and the polyphony of jazz. The Oakland East Bay Symphony will perform Bates' Mothership, a composition that premiered in 2010 on YouTube to an audience of 1.8 million and featured soloists webcast from around the world. The energetic, often improvised, riffs in Mothership should sound even more electric when performed at the Paramount Theatre (2025 Broadway, Oakland). Alongside these young composers, works by one of the founders of modern classical music will also be performed. Berkeley Symphony and Oakland East Bay Symphony's opening programs both pay tribute to Wagner — whose bicentenary is being celebrated this year. Wagner's famous Ring Cycle will get a nod at each: Berkeley Symphony will perform Siegfried Idyll, a composition that sounds similar to the third opera in the Ring Cycle, Siegfried, and was originally written for a chamber orchestra; and at the Oakland East Bay Symphony, Canadian soprano Othalie Graham will sing the role of Brünnhilde, tackling the dramatic immolation scene that closes the last opera in the Ring Cycle, Götterdämmerung. The Oakland East Bay Symphony will also perform "Siegfried's Rhine Journey" from the same opera. Opera fans will also want to catch West Edge Opera's Vanessa (Sept. 21-22), a gothic meditation on unrequited love. When American composer Samuel Barber premiered the work in 1958 at New York City's Metropolitan Opera, it received glowing reviews and later won him the Pulitzer Prize, but it was widely condemned for being too similar to post-Romantic European opera. But over the past decade, new productions have revived the opera. For its semi-staged concert production of Vanessa at Berkeley Rep's Thrust Stage (2025 Addison St., Berkeley), West Edge Opera has enlisted a cast of world-class singers, plus Berkeley's Chora Nova chorus and a thirty-piece orchestra conducted by Jonathan Khuner. If you prefer European opera, Plácido Domingo (Sept. 7) will likely pack plenty of Verdi into his set at The Greek Theatre (2001 Gayley Rd., Berkeley). At 72, Domingo is no longer banking on his reputation as one of the Three Tenors — in fact, he's now a baritone. Domingo's voice has deepened with age, so he changed his repertoire in 2007 to match his new range. Today it includes baritone roles in Verdi's Simon Boccanegra, Rigoletto, and Giovanna d'Arco — the last of which he performed at the Salzburg Festival this summer to rave reviews. Domingo will be joined by sopranos Angel Joy Blue and Micaëla Oeste, with Eugene Kohn conducting the Berkeley Symphony. Even more casual than opera under the stars, two chamber orchestras are bringing classical music to intimate, laid-back venues. Classical Revolution approaches chamber music much like a jazz jam session: Musicians are given a few standard pieces before a concert and take turns sitting in during the performance. Since starting in 2006 at San Francisco's Revolution Cafe, Classical Revolution has expanded to more than forty cities around the world — including Oakland, where it gathers at Awaken Cafe (1429 Broadway, Oakland) on the last Wednesday of each month through November (Sept. 25, Oct. 30, Nov. 27). Classical at the Freight takes a more curated approach, focusing on a different classical master each month at Freight & Salvage (2020 Addison St., Berkeley). Led by San Francisco Chamber Orchestra music director Ben Simon, the small ensemble will devote an evening to Schubert (Oct. 14) and Haydn (Nov. 11). Simon keeps it entertaining, offering historical insights on composers in the form of trivia, and brief, with the music portion lasting only an hour, i.e., just enough time to absorb a Drake's 1500 Pale Ale along with an education on classical music. Mason Bates' compositions are based upon equal portions of classical music and enlightened electronics. From activist art to international dance to stirring theater. The Oakland residency marks a homecoming of sorts for the circus troupe. Questions loom as the artistic directors of Berkeley Repertory Theatre, Cal Performances, and Aurora Theatre Company make their exits. Our critics highlight the summer's best music festivals. When seven local musicians got together for a birthday party, they ended up with an album.